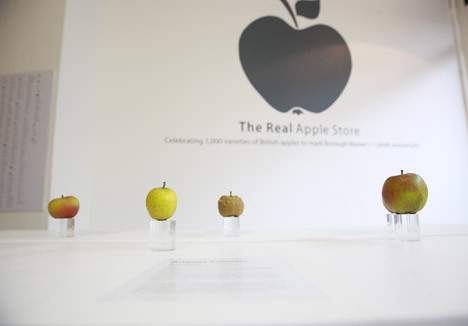 A 'real apple store' has opened in Borough Market, taking a slant from the famous brand, marking the area's 1000th birthday this year. For one weekend only, the commissioned communications agency Tinman and events company, Teatime Production, mimicked apple's trademarked design and layout, for a relevant and playful interpretation of the apple stores. 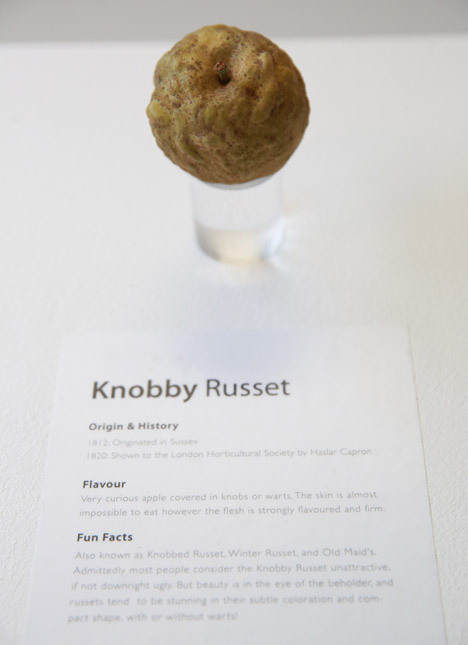 Over 1200 people visited the apples of all shapes and sizes from all over the world, displayed on clear perspex cylinder stands upon long rectangular tables, and featured on walls as giant installation pieces. The apples were present as an educational and insightful exhibition into the history of the fruit, and was not a product that could be bought. Apple declined to comment on the installation.